When I set up this website it was always with the intention of learning from other people, namely professionals who have accumulated a wealth of experience through their careers in construction, and self-builders (or custom builders) who have been there and done it as the clients. Reviewing this body of material I was keen to discover if there were common messages for those in the research stages. 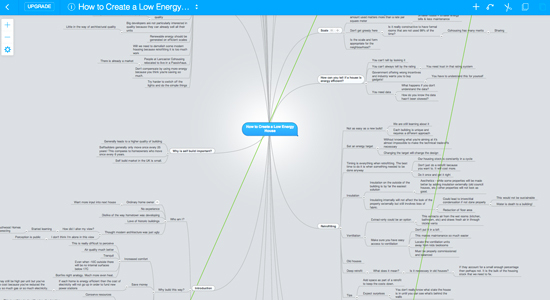 I poured all of this into a mindmap to begin with. Then I wanted to start again and put it all back together in a much more logical sequence. My aim was to produce a multimedia e-book that could reaffirm the key learnings. So here are five concepts that I believe can take you a very long way when it comes to building an energy-efficient house. I bet no other building website will suggest this as one of the fundamentals of building an energy-efficient house, but I really want to put this down as step one! My reasoning is because we come into this with baggage. We have lived in houses all our lives, so when it comes to building one we probably think we know what we want. If you are genuinely wanting to build an energy-efficient home that also has a low impact on the environment, this must be your priority. 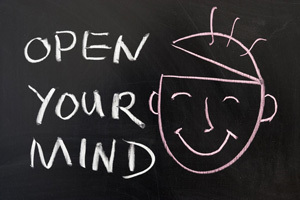 So keep an open mind while you're doing your research rather than being prescriptive and then trying to bolt-on the ‘eco' side of things. I believe this will pay dividends because you can deepen your understanding of how houses have advanced and what you could have from a 21st century house. 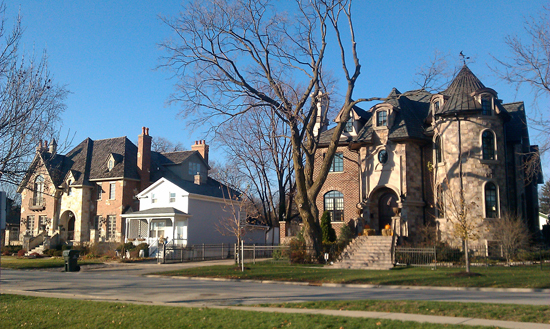 A smaller house caught between two mansions! 2. Scale – Not Too Big! The size of your house matters. You will make hundreds, if not thousands, of decisions about your house but this is one of the most significant. Increasing the floor area means that other costs increase too. Larger houses have larger build costs, larger running costs and larger maintenance costs. In the life cycle of the building this can really add up. So spend time really considering how you can get more from less. For example, when it comes to rooms a study is rarely used at the same time as a guest bedroom so is there a way to do double duty? Scale is ultimately down to personal preference but keeping our ambition under control can have a massive impact. 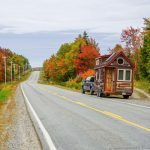 While the Tiny House movement might be at one end of the spectrum it's fascinating to see how these people do not feel like they're missing out – if anything they are a more positive group! 3. Optimise – As Much as You Can! It's a crying shame that houses are often built with no intention to make them as good as they could be. We are in an era where we should be striving to optimise as much as possible about our houses. The ultimate aim is to get the most from the least amount of resources while minimising waste. a) Carefully considering the location of the plot – have we chosen somewhere that will reduce our dependency on cars? 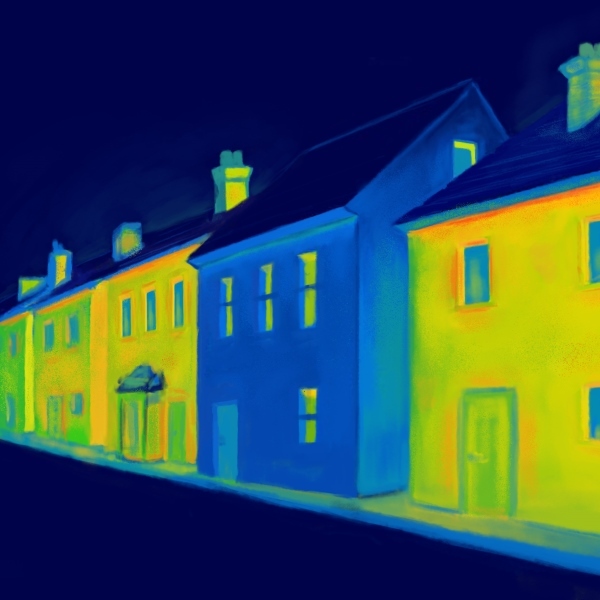 b) Orientating the house to benefit from sunlight – why wouldn't we take advantage of this free source of light and heat? c) Creating a dwelling that is aesthetically pleasing – this has to be the full package. e) Personalising the house – this has to have our own stamp on it or else what are we doing! Tools can help us when it comes optimising our houses. 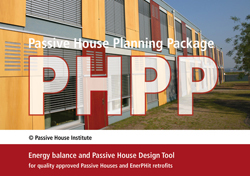 The Passive House Planning Package, for example, allows us to test buildings before they’re even built and try different variations. This way we can make intelligent choices about our design knowing what the consequences are for our future comfort and energy bills rather than finding out the hard way when the building is finished. These days most people don't need much convincing that a fabric first approach is preferable to bolting on technology to try and neutralise your carbon footprint. The reason is that bolt-on technology is not part of the building. By investing in the fabric of the building – the walls, doors, windows, floors etc. – we can create a high quality building envelope that will largely last for the lifetime of the building. And therefore this can do all the hard work. Airtightness and high levels of insulation are the two most important factors when it comes to keeping the heat in (or the heat out if you're in a hot climate). I would encourage every person who wishes to create a low energy house to learn about the Passivhaus standard. This goes beyond fabric first and sets various criteria that a house must meet in order to be certified to the standard. 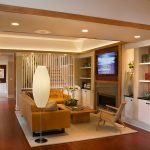 Not only does this save energy but there are huge benefits to occupant comfort as well. 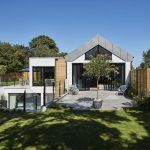 Building an ultra low energy house does not have to cost more than a standard house but – and it's a big ‘but' – you have to spend your money wisely and make energy efficiency the priority. For example, if you desired to reach the Passivhaus standard you would know what that means. There would be certain non-negotiable elements such as your house would need very high levels of insulation, triple-glazed windows, mechanical ventilation with heat recovery and so forth. Accounting for these items and almost working backwards, you are then left with a certain amount of money to design and specify your house. This is likely to mean avoiding complexity, because that inevitably results in higher costs, and instead keeping the form and detailing of the building simple. That doesn't mean boring, but it does mean finding the elegance in simplicity. Few construction professionals think like this but it is entirely possible. In case you are wondering whether this e-book might be flawed because it's written by a novice, well I've tried to prevent that from happening. 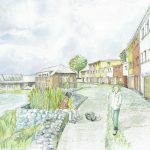 Elrond Burrell, an architect well known on social media and a prominent advocate of the Passivhaus standard, has worked with me on this project (he is also an associate at Architype but has helped me in a personal capacity) allowing me to have a voice but pulling me back when I start making it up! So I must say a massive thank you to him. Elrond is launching his own blog later this year and you can be sure we'll be supporting him in any way we can. What More Do I Get From This E-Book? I have tried to make this something that is both fun and informative, which is one of the reasons why I decided to publish this on the Snippet App. Snippet is a new platform that goes beyond what a conventional e-book can do and turns it into a multi-media experience. I feel this format has a lot of potential when it comes to enhancing the learning experience. Anyway in this e-book I go into more detail about the concepts outlined above. I also look at natural materials, retrofitting and have some tips for project success. 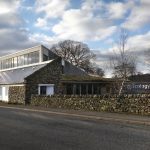 There are photos of completed Passivhaus standard projects and videos that I've put together to illustrate some of the themes. You even get a chance to see my childhood home! I personally think this e-book is exceptional value (although perhaps I would say that as the author who wants to shift some copies!). The Snippet App sets the price of these downloads so for $5 I feel you cannot go wrong. The final reason – perhaps for those who work in the industry! – is to help me. I have given away lots of free information on House Planning Help but putting together products like this take time. I won't lie – I love being able to create content like this but to support me in what I'm doing here it would be fantastic if you could buy a copy. Thank you in advance. Go directly to my author page on the Snippet App. Search for the Snippet App in the App Store (on your iPhone or iPad). 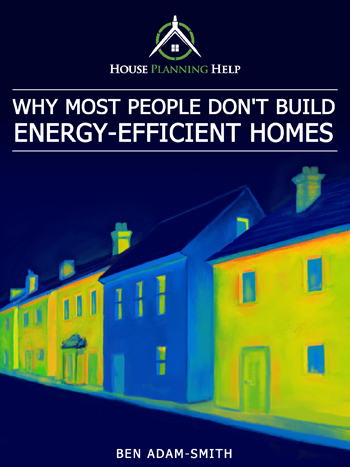 Buy ‘Why Most People Don't Build Energy-Efficient Homes'. Then start reading. Enjoy! There's is also a Kindle version available, too, although the book is best viewed on Snippet.